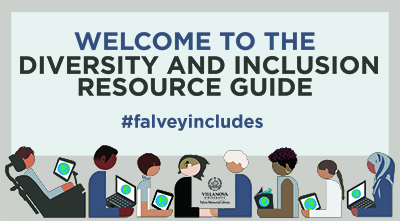 As LGBTQ+ Awareness Week winds down on campus, The Falvey Library wants to remind you of our Diversity & Inclusion Resource Guide, launched in 2017. We hope you will use the guide as a way to explore a vast range of social, political, race and gender-related issues in today’s world. This page offers a point of entry for exploration and seeks to provide a space for genuine personal, intellectual and emotional growth. As a library community composed of diverse voices, we intend for this resource to allow you to engage with voices, ideas, and stories both familiar and new. Whether this resource serves as your first encounter with the perspectives it offers or you’re eminently familiar with these paradigms, it is our hope that the resources assembled here will aid in your growth as a member of the Villanova community and as a global citizen. 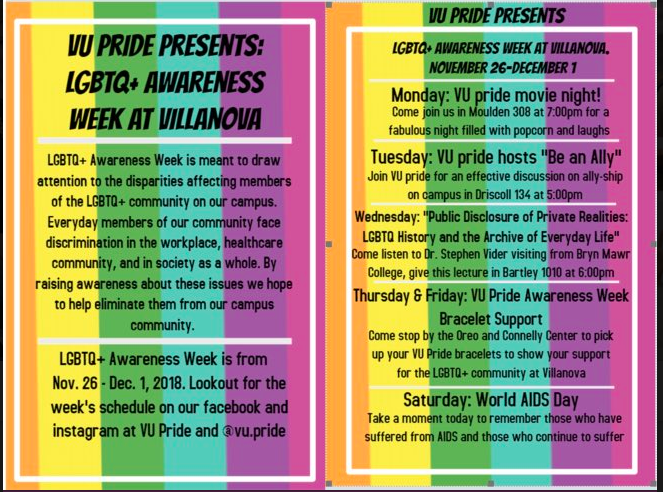 Use the energy and passion ignited from LGBTQ+ Awareness week to educate yourself and others, and let the LGBTQ+ section in the resource guide help you. Original article by William Repetto, former graduate assistant.